That is certainly the case with Medicaid planning. Most advisors don’t know what they don’t know, and that can cause massive lawsuits and a lot of headaches. In short, if you are giving advice to clients age 60 and older, you better learn Medicaid planning. Not learning it will prevent you from giving the best advice to your clients and could open you up to lawsuits from your clients and/or their heirs. Examples are the best way to drive home the point about the problems with not knowing proper Medicaid planning. 1) Insurance agent or financial planner—assume you have a client who is 65 years old and in marginal health. Assume she (a widow) has a total net worth of $500,000 which is made up of $250,000 equity in a home and $250,000 in CDs/money market accounts. Assume she receives a pension and social security benefits of $2,000 a month, has no debt, and lives a frugal lifestyle. The typical advice from an insurance agent is to sell this client a fixed annuity of some sort. It could be deferred or not. If deferred, it could be a guaranteed income rider product. What if this client needs to go into a nursing home in the next 1-3-5+ years? How will she pay for that care (keep in mind the average cost of nursing home care is $5,000 a month (private pay) and that there is a five-year lookback for gifts made that will cause a penalty period preventing qualification for Medicaid). In order to qualify for Medicaid assistance, this client will have to reposition her assets into non-countable assets or gift them away and wait out a lengthy penalty period. What will happen to any annuities she recently purchased? The typical advice will be that she should liquidate them and gift them the remainder to her heirs. She could also exchange them for “Medicaid” compliant annuities. Either way, she is going to incur a surrender charge. If she was sold mutual funds with deferred loads, those loads will be paid when cashed in; and the money will again have to be repositioned. The surrender charge or deferred sales charge could be substantial, and this is certainly not in the client’s best interest. And the penalty-period clock won’t start until a new gift is made. It may have been prudent for the client to aggressively gift her assets away shortly after meeting with the advisor. For example, if the client didn’t need assistance for three years following the advice, the waiting period for being able to qualify for Medicaid could have started 36 months earlier thereby saving the client 36 months of private-pay nursing home expenses. The lack of knowledge of each type of advisor might have cost the client significant money in the form of surrender charges or deferred sales charges and a huge amount of money when having to pay for nursing home expenses out of her pocket as she waits out the lookback period for gifts made. Do you think the client or her heirs are going to be happy with the advice given by the insurance agent or financial planner? No, and we believe there are grounds for a lawsuit. It should be noted that there are ways to get the client immediately qualified for Medicaid assistance (critical-need Medicaid planning); but even with proper planning after the fact, no planning will be able to fully cure the financial harm to the client. 2) Attorney—let’s use the same example and assume the client at the same time as she received financial advice she also decided to re-do her estate plan. 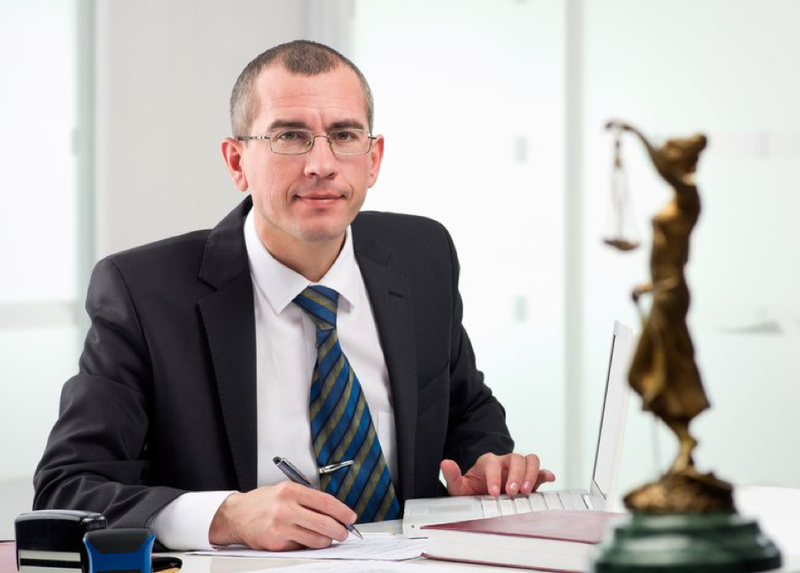 Assume the client sat down with an attorney who touted that he is an “estate-planning” attorney. What does that mean? To most, it will mean creating plans for clients to mitigate probate expenses and estate taxes. What also should it include for any client age 60 and older? It should include helping clients preserve their assets from nursing home expenses. Assume the attorney helped the client implement a will, living trust, and durable powers (legal and medical). Such a discussion for affluent clients would include a discussion about gifting assets away to minimize estate taxes. Such a discussion should also be made for lower-asset clients who are candidates for financial assistance from Medicaid as well as the proper use of Medicaid compliant annuities and life insurance. 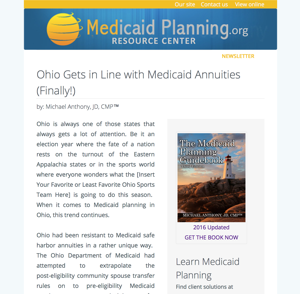 Unfortunately, the attorney did not take Medicaid planning into consideration when putting together her estate plan; and this bad advice could cost the client in excess of $200,000 in private-pay nursing home expenses. How do you avoid lawsuits? 1) The Medicaid Planning Guidebook. 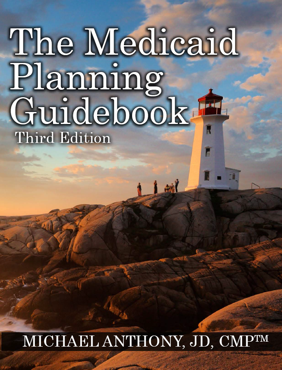 This is the best book ever written to learn Medicaid Planning and is a desk reference guide every advisor giving advice to clients over 60 years old shoul have. To learn about this book, please click here. 2) Take the Medicaid Planning Course. It’s the only thorough course of it’s kind in the industry. To learn more about this course, click here. 3) Use our unique Mentoring Program. There is no other mentoring program in the industry that allows you to have one of the top Medicaid experts as your mentor to help keep you out of trouble. To learn about how you can be mentored by Mike Anthony, JD, CMP™ please click here.